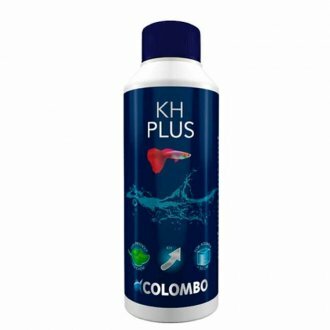 Colombo KH+ increases the carbonate hardness (KH) in your planted aqurium - this is done to ensure a stable pH level. KH readings will vary enormously but from our experience 6-10 is the right sort of level for your aquarium plants. As long as you test your KH levels regularly and adjust accordingly your plants will grow better and become stronger. Dosage: Add 1ml of Colombo KH+ for every 5L of water to increase the KH value by 2.